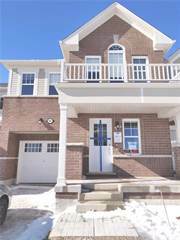 Houses for rent in Caledon, ON are easy to filter and browse through on Point2 Homes. Whether you’re looking for apartments for rent, furnished apartments, condos, single family homes, studio apartments, townhouses or any other rentals, you can get a list of properties based on your needs with just a few clicks. 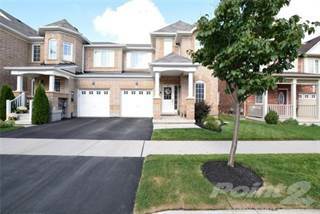 Rental homes in Caledon, ON on Point2 Homes are displayed with important additional information, such as property type, square footage and amenities, and the name and contact information of the real estate agent handling the property. You can also learn whether there have been significant price drops in the rent during the last 6 months. Whether you’re looking for rental apartments or generally homes for rent in Caledon, ON, on Point2 Homes you can tell whether you’re close to the amenities you need at a glance, by using the map view. And if you know exactly where you want your apartment to be in Caledon, ON, you can simply use the polygon or radius tools to draw around the area you’re interested in, and Point2 Homes will instantly show you all the rental homes there. 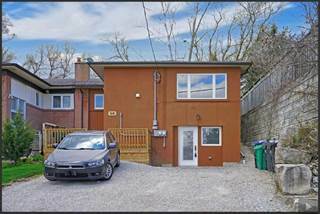 How much is rent in Caledon, ON? There are two ways in which you can find apartments for rent based on price on Point2 Homes: you can either set the minimum and maximum price range yourself, or you can simply sort all the available houses for rent based on price, if you want to browse a wider range of rental homes. Once you’ve found a rental you’re interested in, all you have to do to get in touch with the listing agent is check the listing detail page – all the contact information you need will be there. 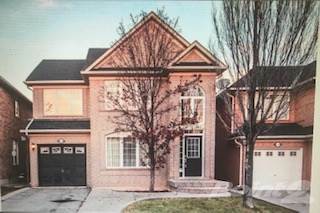 If you’d rather start with expert advice, getting in touch with professional agents in Caledon, ON is very simple on Point2 Homes. Simply go to Tools in the menu and find an agent. You get a list of featured agents in Caledon, ON, all knowledgeable and eager to help. Caledon spans over 688 square kilometres in the southern portion of the province, near the communities of Brampton, Vaughan, Orangeville, and Guelph. The city is home to over 59,000 people and has been named the safest town in Canada twice by Maclean’s magazine. Caledon has a rural, small-town feel, with plenty of greenspace in the form of golf courses, parks, and conservation areas. There are a couple of public transportation options, but residents rely on their own vehicles to get around, for the most part. Caledon’s house prices tend to be high, with averages ranging from $700,000 to $1,000,000. The northern section of Caledon has many large, expensive homes on sprawling lots in a rural-like setting. Sweeping driveways lead to visually stunning homes. In the central section of the city, there are also many large, newer homes, but in this section, they tend to be on smaller lots than in the northern section. There are also smaller, older homes to choose from, which come with slightly smaller price tags. Vacant lots in this section are high-priced and there are also commercial spaces available. More vacant lots and large, newer built homes can also be found in the southern section of Caledon. Caledon’s vacancy rates are normally low, usually sitting at between 1% and 2%. One-bedroom apartments tend to have the highest vacancy rates in the city. Caledon’s low vacancy rate is due to there being fewer rental options in the city than in surrounding communities. The number of available units has stayed the same over the past couple of years, making for a tight rental market. Average rent costs in the city are around $820 for a bachelor apartment, $980 for a one-bedroom apartment, $1,020 for a two-bedroom apartment, and $1,350 for a three-bedroom (or more) apartment. The overall average rent cost in the city is $1,000. Rent costs have increased slightly overall, with one-bedroom and two-bedroom apartments seeing the highest increases. Major industries in Caledon include retail, manufacturing, transportation and warehousing, and agriculture. Some of the largest private companies operating in the area include Husky Injection Molding Systems, MARS Canada Inc., Gap Canada Inc., Walmart Supercentre, Sardo Foods, Multi Vans, Cavalier Transportation Services Inc., A&G The Road Cleaners Ltd., D & R Electronic Ltd., and Silcotech. The city’s largest public employers include Caledon Town Hall, Caledon Centre for Recreation and Wellness, Caledon OPP, Robert F. Hall Catholic Secondary School, and Davis Centre. A number of companies also have their corporate headquarters in the city. Caledon’s unemployment rate is around 6.5%, which is on par with the national rate. Public transportation is provided by GO Transit, which operates two bus routes in the city that connect to other nearby communities (Bolton, Vaughan, Etobicoke, Orangeville, Mississauga, and Brampton). Brampton Transit operates one route that travels to and from the Tullamore Industrial Area six times a day. Caledon officials ceased city-operated public transportation previously, due to lower ridership. Residents with mobility issues or disabilities can use Caledon Community Services Transportation for accessible transit. The Peel District School Board, Dufferin-Peel Catholic District School Board, Conseil scolaire Viamonde, and Conseil scolaire de district catholique Centre-Sud operate secular and Catholic schools in the city. Examples of schools in the area include Mayfield Secondary School, St. Cornelius Elementary School, Caledon East Public School, Alloa Public School, Caledon Central Public School, and Robert F. Hall Catholic Secondary School. Private school options are also available. While there are no post-secondary options in the city itself, many can be found in neighbouring communities. Examples include Georgian College, triOS College, Humber College, Canadian Business College, the University of Guelph, York University, and Seneca College. The Caledon Community Complex has two arenas, an auditorium with portable stage, a community room, a kitchen and bar, a snack bar, audio and visual equipment, outdoor soccer fields, and an outdoor picnic pavilion. The Caledon Centre for Recreation and Wellness has a pool, a gymnasium, a fitness studio, an indoor track, squash courts, an indoor climbing wall, an outdoor skate park, an outdoor community garden, outdoor ball diamonds, and outdoor rinks. The Willoughby Nature Reserve is a 48-hectare natural area with a hiking trail that provides many wildlife viewing and birdwatching opportunities in the forested areas along the two branches of Silver Creek. White-tailed deer, eastern bluebirds, coyotes, pileated woodpeckers, great-horned owls, and a variety of trees can all be found in the area.